Instantaneous overcurrent (50) and time overcurrent (51) protection can protect equipment from overloads and short circuits, but there are situations where their ability to protect a system is limited. Many applications exist where the direction of current is not fixed because of multiple sources and/or parallel feeders. These situations prevent simple overcurrent protection from adequately protecting the electrical system. Directional overcurrent protection (67) only operates if the current flows in a pre-defined direction to provide more selective and sensitive protection. 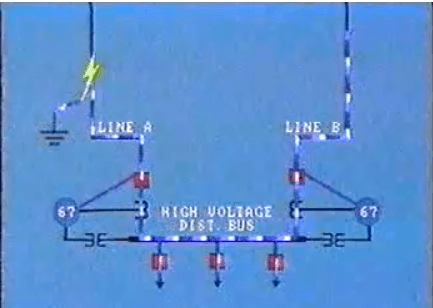 This is a dated, but excellent, video introduction to directional overcurrent protection (67) relays that has some good information. This video reviews the basics of directional overcurrent protection and provides detailed information regarding directional electro-mechanical relays and their functions.